Gichin Funakoshi, founder of Modern Karate, dies at the age of 88. 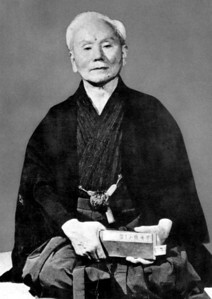 Miyazato Eiichi established Jundokan Goju. Gichin Funakoshi died on April 26th 1957 @ 8:45 AM in Tokyo, Japan. He was 88.